Handlebar selection: Nitto Noodle, Moustache, and Albastache. Velo Orange Milano, Porteur, and Bellville. Origin8 Urban Uno. Soma HwyOne, and Moustache. 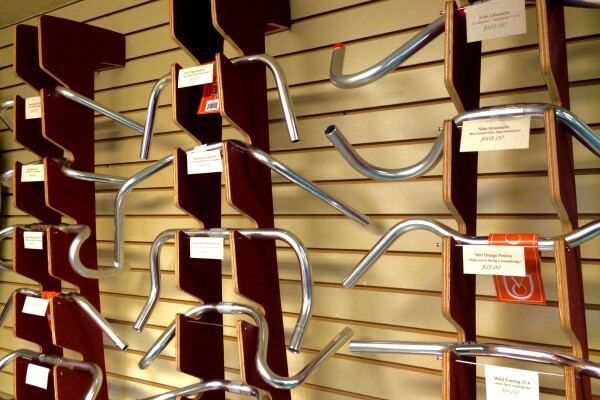 And we offer several different styles of Wald touring, riser bars and swept back bars covering just about every riding position! That’s a lot to choose from but we’re pretty sure you can handle it.